Margaret Boemer of Plano, Texas, was pregnant with her third child when she received terrible news at her 16 week ultrasound. Her pregnancy had already been a complicated one. She had originally been carrying twins but one of the babies died early on. The ultrasound confirmed that something else was not right. Sacrococcygeal teratoma is a tumor that develops while the baby is in the womb and grows from the baby’s coccyx, or tailbone. This tumor occurs in one out of every 35,000 births, more commonly in girls than in boys. “Some of these tumors are very well-tolerated,” said Dr. Darrell Cass, co-director of Texas Children’s Fetal Center. Almost half of the time, the tumors cause problems for the baby because the tumor is trying to grow by stealing blood from the baby yet the baby is also trying to grow. The tumor and the baby compete for the blood and in some cases, the baby’s heart cannot survive and goes into heart failure and the baby dies. Something had to be done in order for Boemer’s baby to survive. Some doctors advised her to terminate the pregnancy while Dr. Cass and his team advocated for another incredibly difficult option: fetal surgery. Dr. Cass operated on Boemer when she was 23 weeks and 5 days pregnant. Dr. Cass and Dr. Oluyinka Olutoye, his fellow surgeon, operated for nearly five hours. The tumor was almost as large as the baby. The toughest part of the surgery was opening and closing the uterus. According to Dr. Cass, the tumor was so large that a “huge” incision was required to get to it, so the baby had to be completely removed from the womb. LynLee’s heart rate slowed to a dangerously low level. The heart specialist was able to give her the right medication and the right transfusion of fluids so Cass and Olutoye could continue the surgery. 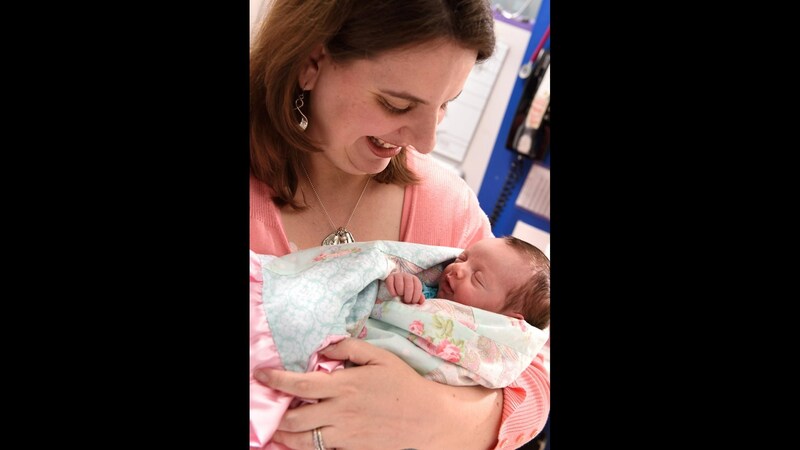 The doctors removed most of the tumor and placed LynLee back inside her mother’s womb, sewing the uterus shut. Boemer was on bed rest for the remainder of her pregnancy and at nearly 36 weeks, LynLee Hope entered the world for the second time on June 6. She was born via a C-section and weighed 5 pounds, 5 ounces. After an initial evaluation at the neonatal intensive care unit, LynLee was healthy enough to be transferred to the nursery. Eight days later, the baby had another surgery to remove the parts of the tumor that they couldn’t reach before. Doctors were able to remove the rest of the tumor and LynLee has been able to live a normal childhood. She is “doing beautiful,” said Dr. Cass.